Architecture is a broad church, and as with all systemised human pursuits it’s the practitioners at the edges who are often the most interesting. While many architects live lives of such blameless orthodoxy that they may well have chosen the law or accountancy as a career, a few are so distant from conventional practice that they’re within reach of apostasy. (What’s the ultimate architectural heresy? The belief that anyone can do it.) Tony Watkins is about as far removed from the practice partner with his Italian suit and German sports car – reassuringly, there are sufficient examples to sustain the stereotype – as it’s possible to be. You could say Watkins represents the woolly-socks end of the architectural spectrum. Well, you could, if he actually wore socks. He’s as hardy as a hobbit, and as easy to misjudge. Watkins brings to mind those reforming monks who so inconvenienced church prelates down through the ages by pointing to the gap between professed beliefs and institutional conduct. What was most vexatious about the testifying friars was their determination to hang around and change things from within. It would be wrong to see Watkins as a contrarian and, despite his advocacy of a simple life and his inclinations to anarchism and anthropomorphism, the Franciscan analogy should not be pushed too far. Watkins is worldly enough. 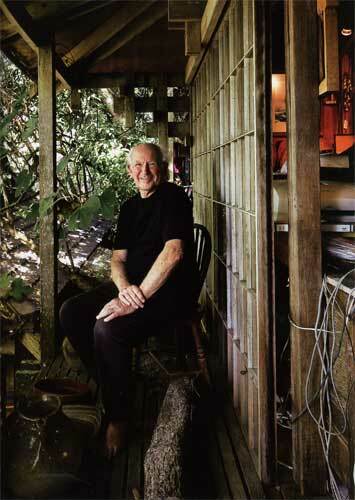 For decades he lectured in architecture and planning at the University of Auckland. He has remained an active member of the New Zealand Institute of Architects, and has frequently attended congresses of the International Union of Architects, where he has habitually agitated for an environmental agenda. He has taken a prominent role in campaigns to clean up Auckland’s harbour and beaches. 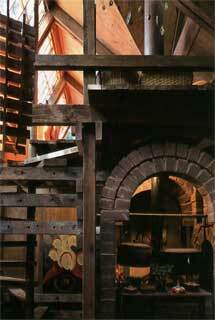 For several years in the 1970s Watkins wrote a column on the ‘human house’ for the now-defunct Auckland Star. (He recently published a compilation of the pieces.) People still recall those articles; they constitue one of the few sustained effort at public engagement undertaken by a New Zealand architect. What must the Star’s hard-bitten sub-editors have made of them? Watkins’ copy was studded with foreign nouns: ‘joy’, ‘beauty’, ‘miracles’, ‘love’ even. To save the sub’s blushes, it probably went straight to print. 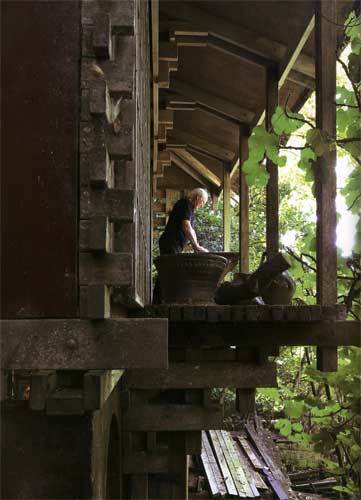 The reference point for the columns on the ‘human house’ was Watkins’ own home in Karaka Bay, a small eastern-suburbs beach reached only by a zig-zag path down the side of a cliff. It’s unfinished business, this house, like Ian Athfield’s house in Wellington, but the similarities end just about there. 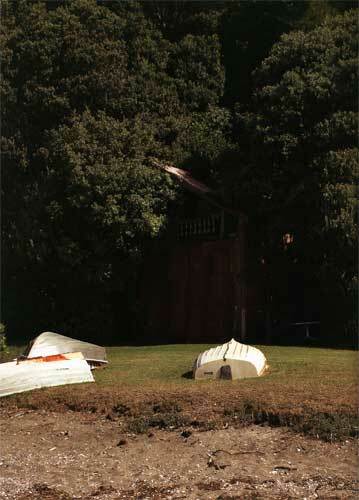 Where the Athfield house is its own site, the ‘Human House’ is very much part of Karaka Bay, and Watkins is inextricably involved in a small settlement of a dozen houses whose inhabitants declare their world-views in architecture that ranges from bush-camp to suburban bungalow. At times, such as those years when Watkins controversially kept Piglet at the bay – the sobriquet was a misleading indicator of the pig’s size – community relations have been rather intense. Very human, and there’s no getting away from it. How old is this house? A better question might be, how long have you occupied this piece of land? About 40 years. I bought a section here which had the remnants of a boatshed on it, and because I wanted to build myself without a mortgage, I moved into the boatshed. What was Karaka Bay like when you moved here? It was the perfect bach paradise of the New Zealand dream. Everybody from within about a mile would come here for a swim. It was a very social place – the parties were spontaneous and almost continuous. One neighbour immediately came along and said, ‘If you need a kitchen just come along and make yourself at home’, and another came along and said, ‘If you need a shower or a bath come along to my place’. That idea of not having a building which starts and finishes, but rather is a continuous process or story, that’s important to me. The house expresses so much about what you think is important in building and architecture. Have your ideas changed much over the lifetime of the house? They’ve been fairly constant. My primary belief about architecture is that the least possible amount is best. All architecture should strengthen our relationship with nature. The idea that architecture is about shelter is fundamentally flawed because we shouldn’t seek to shelter ourselves from nature when nature is giving us life. What our architecture should do is allow us to relate to nature. I’ve always thought this. 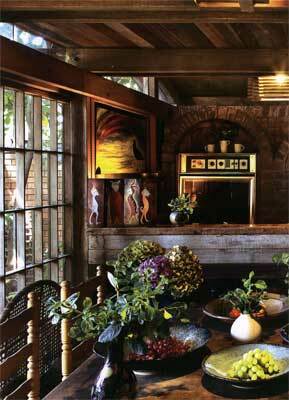 The house is not just open to nature – nature grows through it. I like the idea that there isn’t an inside and an outside, and there aren’t doors. I find it fun when people don’t notice they’ve come inside the house, but discover they’re in the kitchen making themselves a cup of tea. The house is really a vertical compound. I think of it as being like a village with a street running through it. You could liken it to a little Greek village with a series of spaces loosely grouped around a street. This gives an enormous amount of flexibility. 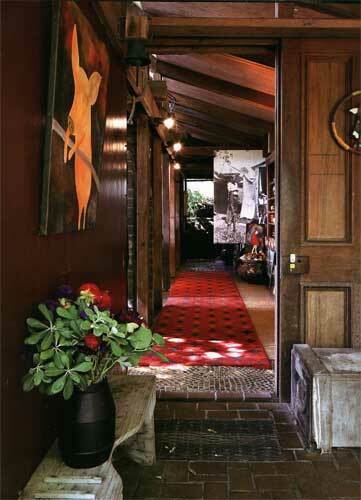 Over the years the house has been used in lots of different ways. At one time a whole family was living in the space we’re now sitting in, and I never came here at all. I lived in the boatshed for many years. A friend who was sick needed somewhere to live and it was only when he left that he convinced me that I should shift out of the boatshed, which I rather reluctantly did. One of the things I think about architecture is that we over build. And architects are compulsive builders. They just go on building. I can’t help myself, but I’ve really built much too much. 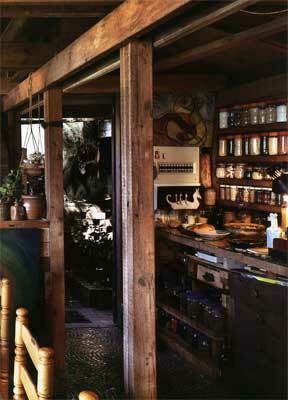 After the boatshed, the first bit of the house a visitor reaches is a structure that seems part gallery, part shrine. We call it the crypt, but I’m very keen on the idea that you don’t base architecture on function at all. If you set out by establishing a function and then you build a space around it, it’s unbelievably restrictive because nothing in our lives is predictable. Our needs of tomorrow will be quite different to what they are today. So you should consider what I would call timeless needs, things like the need to embrace the light, see the beauty of the dawn, feel the coming and going of the seasons. These things are always there, and so you build to maximise those experiences. If you do that, then the other things don’t matter too much. Talking of needs, if not functions, where is sleeping done in this house? Where you get tired. There’s a bed just around the corner, so you can sleep there. There’s a bed down below so you can sleep there. There are beds up in the top module, so you can sleep there. A bed is wherever you happen to find yourself. Architects keep asking people to make choices, and the real answer is to never dictate a choice. When people say, ‘Where’s the kitchen?’ well, it’s actually all over the place. If you were to stay tonight and we caught a fish, we would probably cook it on a barbecue out on the beach so the kitchen effectively is out on the beach. But last night when friends called in we gathered round the space where I’m talking to you. This became the kitchen. Not everyone could live a nomadic existence in their own house. There’s an issue of scale, too, isn’t there? This is quite a sprawling house. I don’t think it’s a scale thing, I think it’s an attitudinal thing. I believe that all people are nomads, although some don’t think they are. The idea that we are not moving through life has become an absolute trap because what we should be doing is touching the earth lightly, in the way that a nomad does. The writer Bruce Chatwin also believed that humans are essentially nomadic, and are happiest when they’re moving. I’m a great fan of Chatwin. The things that are going to kill us are neuroses, on the one hand, and boredom. Boredom is the greatest problem facing western civilization and fundamentally our architecture is boring. No discussion, no debate, no change, no contrast – just pretty images. You’d have to be quite tough to live in this house. I find it idiotic that we take houses which are dead anyway and then insulate them so that people can die comfortably. What we should be saying is, ‘Come on, toughen up’. For some things there should be no soft option. If you’re living in this country and can say, ‘I’ve never climbed a mountain and I’ve never forded a river and I’ve never been out in the bush’, then how can you be a New Zealander? My father was a bushman so we were partly brought up in camps out in the bush. That connection is important to me, but to have that emotional response you have first to have gone out and been cold and wet and sat on a mountain side and watched a kaka flying overhead, for example. At the moment, we educate people out of things instead of educating them into things. We have a schooling system which takes away the experience of place and the experience of life and then we expect to build architecture round this. It’s not a good way of going about building. Did you build this house by yourself? I used to buy the beer and invite everybody round and we’d drink the beer and everybody would go home and then I’d find we hadn’t actually started on any of the work. I made various attempts to get other people involved but the reality is I did 98 per cent of it myself. A lot of the material seems to have been scrounged or found. A reasonable amount, but I’m not a fanatic about that. My attitudes have changed in the course of building the house. As an idealistic young architect I believed it was a matter of design which made the difference, and so you could use common materials and produce good building. 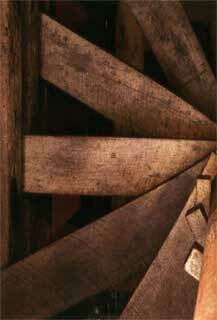 Then I discovered that most people don’t know a piece of pine from a piece of matai or a piece of kauri. When a foreman rang up grumbling that he’d got a truckload of matai that had been returned, I said put a price on it and he delivered the whole truckload. In an ecological sense, using the matai would seem extravagant, and you’d never do it if it involved cutting the trees down, but if the alternative was sending a truckload of timber off to a tip… The next block up the hill is all Lawson’s cypress. A really important principle of the house is to avoid toxic chemicals, and Lawson’s cypress is wonderful because all you need on it is a little bit of oil. I’ve kept bees for years so I have a supply of beeswax. You just rub a bit of linseed oil and a bit of beeswax into Lawson’s cypress and the smell is fantastic. Does your house leak in ways it shouldn’t? All houses leak, and then there are some dilemmas that you probably need to be an owner-builder in order to laugh about. Rolled up in the shed is the copper flashing which should have gone up 40 years ago, and I must get around to doing it. You can laugh or cry, but at least you know what you should have done, and you know why you didn’t do it. You only hope that somebody appreciates the fact that you did the alternative thing which kept you so busy that you didn’t have time to do it. Is there any insulation in the house? I must put some in. The best insulation of all is a layer of books. I think every house should have all the walls lined with bookshelves. It’s a bit unfair to say the house is not insulated, all my roof spaces are double-layered, but insulation is a great misleading factor. It influences the form of the building too much. The space we’re sitting in now is open in all directions. 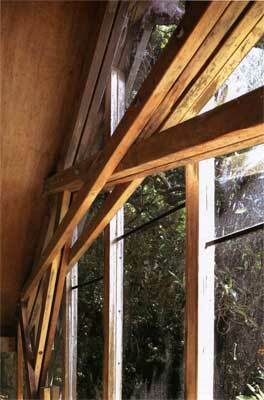 Double or triple glazing would make no difference because it’s all open. The house seems rather Japanese. What about local precedents? One of the great tragedies of New Zealand architecture is that we have an amazing Maori tradition that has not been understood. 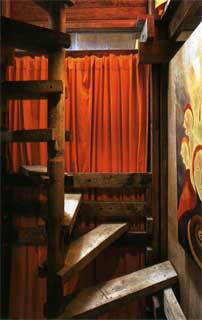 For example, on a marae the marae is the space, not the building. Most architects assume you start off with the space and you fill the space with a building. The marae assumes that you keep the space and you define the space by the building. The next move is to differentiate the type of activities… If we consider Pakeha architecture, then the great tradition was the bach. You touched the ground lightly with your bach. People would say you’ve got to have foundations, but take a great architect like Alvar Aalto. He had a secret retreat on a Finnish island where he did all his experimenting with buildings, far from councils and building inspectors, and his house there has no foundations. He believed that if you’re moving into a sensitive landscape, don’t alter it. Was the New Zealand bach virtuous, or was its simplicity just a product of the material means of the country at the time? We’re the same people, but now some of us can afford big coastal houses that brutally occupy the land. For me, a bach is about a spiritual attitude to life. With a beach house you take it all with you, with a bach, you leave it all behind. I don’t want to make it seem as though the bach was unsophisticated. It was far more sophisticated than any architectural building we’re putting up today. The $5 million mansion is boring, unimaginative, repetitive, it’s just clichés. The bach, in contrast, is unique. It’s local, it’s personal, it’s of the culture, it’s of the place. Have you become an architect who is anti-architecture? I see myself as embracing architecture and I find it sad that so many architects are caught up in a materialistic world without the values of love or beauty or surprise or delight. In my ideal world every building would be a delight. When we walk down a medieval street we don’t expect to find one reasonable building in 200 and need a guidebook to find it. We expect to walk down the street and have every house a delight. I love being an architect and I love architecture. I’m not against anything. In terms of whether you’re outside or whether you’re inside, you’re much more likely to bring about change from inside than outside. I’ve not really been interested in devoting my life to opposing situations – all you end up with is a sore head. If I go into a situation I want to achieve something positive. I was involved with writing the first environmental policy for the Institute of Architects here, and helped persuade the International Union of Architects to adopt an environmental policy. 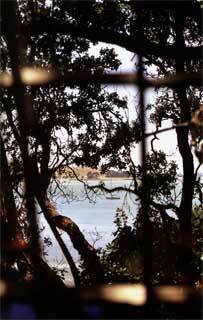 I co-authored the first maritime plan in New Zealand to protect the natural character of the Waitemata Harbour. That’s why the headlands are green now. Then there were campaigns to protect the volcanic cones in Auckland, and to save Bean Rock Lighthouse. Working within the establishment has allowed me to achieve some change. Talking about relationships with the powers that be, did you have to fight local bureaucracy to this house built? Every inch of the way. Generally, bureaucrats are dull people who don’t understand anything about building and are only interested in controlling the lives of other people. However, as individuals I can’t speak highly enough of the people involved in my case – they were incredibly helpful. For instance, the building inspector would come along to the front entrance and he’d call out, ‘Coffee’, and I’d make a brew and take it down to the front and we’d have a good yarn and he’d go back to the council and say he didn’t see any problems. I think I still hold the record for most objections to a house. There were hundreds of them. You’re still building here. Is this your house for life? Yes. In an ideal world we would have much greater continuity from one person to the next. I believe in the idea that a person can seamlessly take over another person’s life or house, and carry on with their projects, their dreams. But our society is not organised around that idea, and that again is another huge architectural issue, because what we build at the moment fundamentally misfits. 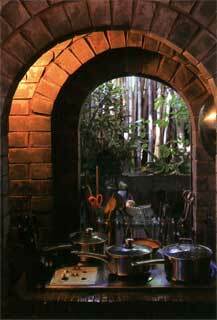 Even the best architecture which has just been finished is usually an immediate misfit because the next week somebody has a tragedy, or somebody leaves home, or somebody returns home. Life is about change and architecture typically is not about change. The site, though, has continuity. What you need here is someone who would love the pohutukawa, love the bay, love the bach tradition. The house, any architecture actually, you don’t need it. Too much architecture gets in the way. There’s something really nice about being able to walk away. Really? You have another place, in the Hokianga – would you consider living there? I’m a very social animal. The Hokianga is a brilliant way of life and I love it, and I wouldn’t change a thing. Karaka Bay is a brilliant way of life and I love it, and I wouldn’t change a thing. I really enjoy it here. I walk out to the beach with a book and I seldom get more than two pages read. Somebody comes along to yarn, a friend drops in, whatever. This is what urban design is about. Urban design should be about maximising life. I enjoy everything about living here, but I certainly don’t swan around looking at the building. I enjoy it, don’t misunderstand me – I can go round the whole house and find things that I love, like this kauri bookshelf out of the old Auckland Library which was destroyed by the council. 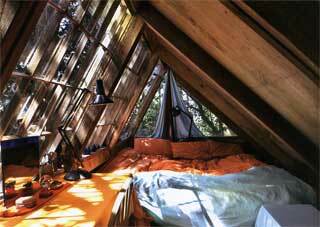 I could take you around the house and talk about every nook, every cranny, every piece of timber. That’s what building yourself is all about, what the human house is really about. Is there anything else you want to say about this house, Tony? Anything else you want to ask? I could talk about it forever.